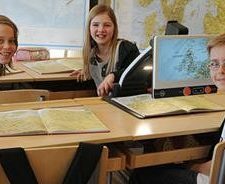 Ergonomic, easily foldable and light weight, Eye‐Pal Vision low vision aid enables people with low vision to magnify images and objects. 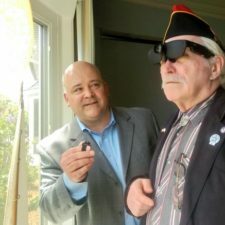 Also the Eye-Pal Vision low vision aid has ability to scan and read any printed material without asking anybody for help by OCR or Optical Character Recognition. 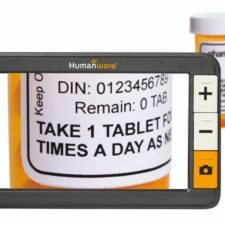 The Eye-Pal Vision low vision product has advanced 5 MP auto‐focus, zoom able camera provides live magnification up to 14X. 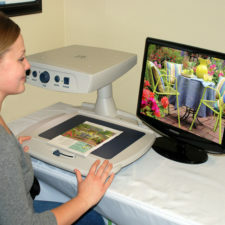 It is also scan an entire 8.5”x11” and convert it to speech. 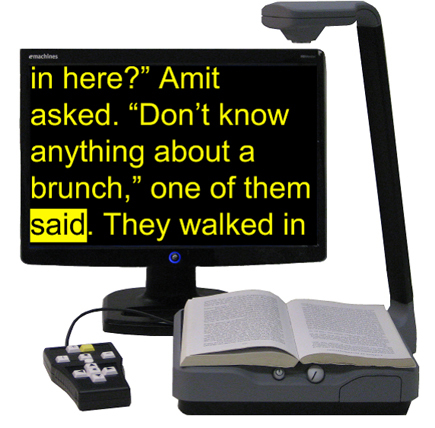 The Eye-Pal Vision low vision aid is fast, accurate and ready to read right out of the box, it enables you to scan bound books and save the contents on a flash drive as text or MP3 formats. Scan and read text as small as size 4.